WASHINGTON (CNS) — Much has been said about the sheer enormity of the humanitarian crisis created by Syria’s brutal civil war — 100,000 are dead, 6.5 million people are displaced inside Syria and nearly 2.5 million have fled the country — but in other ways as well, the situation presents atypical challenges. In a Senate hearing Jan. 7 and a panel discussion at the Brookings Institution Jan. 9, experts from humanitarian agencies spelled out the extent of the needs in Syria and elsewhere in 2013 and tried to forecast the demands of 2014. Fighting in South Sudan and the Central African Republic have pushed those two countries to the list of urgent situations, for example, and ongoing efforts to help victims of Typhoon Haiyan in the Philippines continue to be critical. 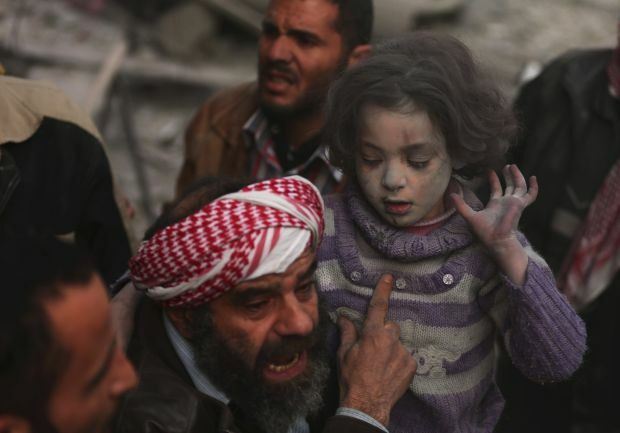 Sophie Delaunay, executive director of Doctors Without Borders USA, said Syria presents the medical aid organization with the unusual situation of having had a modern medical system that now lies in ruins. “This is a country where the health system was quite sophisticated,” Delaunay said at the Brookings event. While Doctors Without Borders is accustomed to coping with malaria and other tropical diseases in crisis-stricken countries, Syria was a highly developed country where diabetes and cancer were the significant public health concerns. With the medical care system in tatters, aid organizations have had to step in to provide a different type of care than usual. Add to that the thousands of people suffering from the effects of chemical weapons used in a Damascus suburb last year and the medical organization has had to rework its usual strategy of aiding victims of a civil war, she said. “Our machinery was not prepared to deal with that,” Delaunay said. In prepared testimony for the Senate Judiciary Committee hearing two days earlier, Nancy Lindborg, assistant administrator for Democracy, Conflict, and Humanitarian Assistance at the U.S. Agency for International Development, explained some of the challenges in trying to reach all those displaced Syrians. Lack of security, blocked access and insufficient resources mean that “despite a massive mobilization of assistance and funding, international aid has not reached 2.5 million people inside Syria,” Lindborg said. He said more than 11,000 children have been killed, including hundreds who have been shot by snipers or summarily executed. At the Brookings panel, Iain Levine, deputy executive director of programs for Human Rights Watch, said in another crisis situation, the escalation of violence in South Sudan should have been anticipated. “They missed the warning signs, or at least didn’t respond to growing tensions there,” Levine said. In the last month, tribe-on-tribe violence has killed more than 1,000 people and driven 180,000 from their homes, according to The Associated Press. Levine said that although the United Nations has stepped up quickly, agreeing to send 5,500 peacekeepers into South Sudan, the violence went too far because other nations “apparently didn’t respond to human rights violations because they didn’t want to criticize a new government too much.” South Sudan became independent three years ago. Speakers at the Brookings event and the Senate hearing tried to give a sense of what to expect in those and other hotspots in the coming year, and several expressed concerns about aid organizations being able to keep up the huge financial commitments necessary to support such vast populations of needy people. Lindborg told the Senate committee that a donors’ conference in mid-January in Kuwait will “press donors to give generously, including those that do not typically respond to these appeals.” She said the United States has contributed $1.3 billion in humanitarian aid to Syria since the conflict began there several years ago. 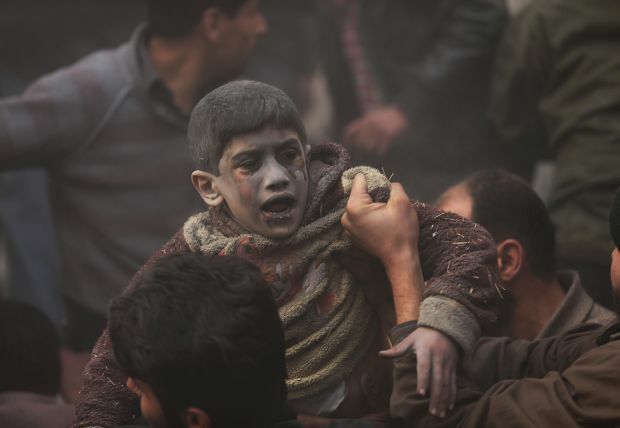 In addition to medical needs and food, displaced people inside Syria and Syrian refugees in adjacent countries need basic infrastructure including water and sewer services, housing, schools and jobs, the witnesses said. As to how to keep the world’s attention focused on long-running conflicts and the needs they generate, Levine repeated a story he’d been told by a friend. Today, Levine said, “the principle is the same,” though the tools may be different. Besides making officials’ phones ring, he encouraged people to be vigilant about emailing and using social media to keep attention on troubled areas.